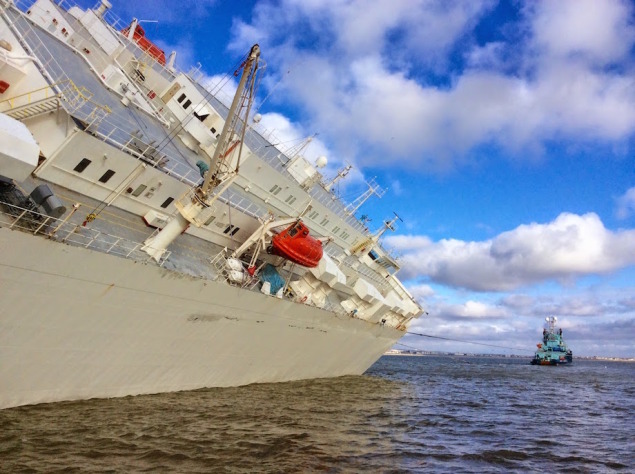 Salvage work on the Hoegh Osaka continues in the Alpha Anchorage. 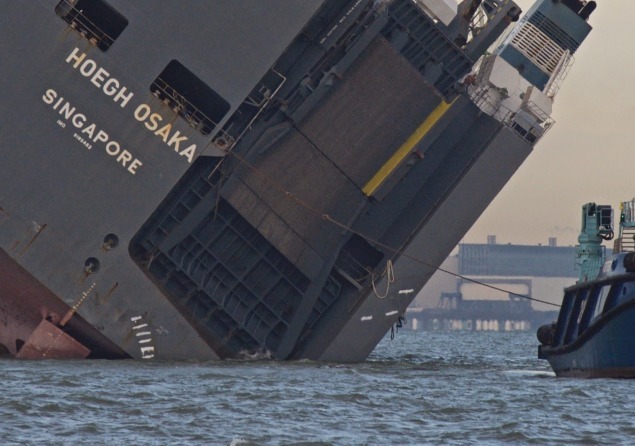 Svitzer, the nominated salvage company, has been pumping water from the lower decks, with the vessels severe list being reduced by 15 degrees to approx 37 degrees. The vessel was previously leaning at an astonishing 52 degrees. “Salvage work continues. The list of the vessel is continuing to be reduced and the vessel was lying at 39 degrees on the evening of Monday 19th January 2015. 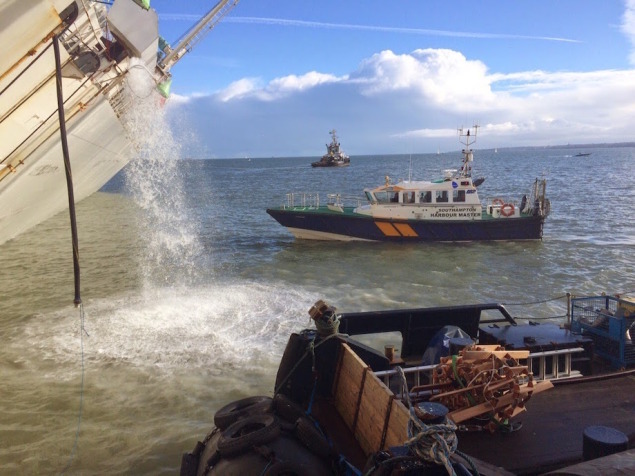 On the 3rd January 2015, the stricken roll on / roll off vessel was deliberately ran aground by it’s captain and pilot. 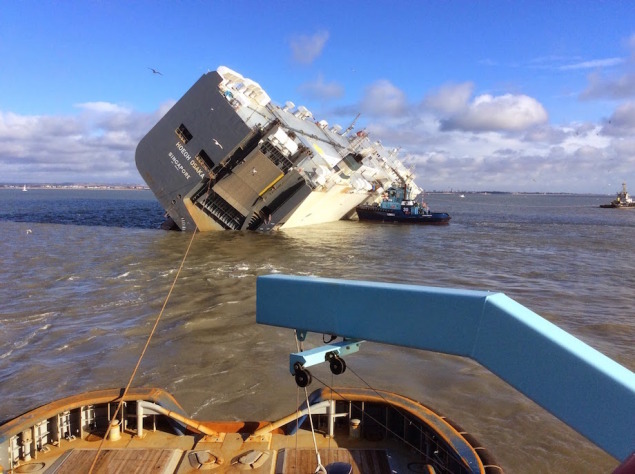 Since then, the vessel managed to self float itself and then bob about in the ocean whilst the Maritime and Coastguard Agency (MCA) and the salvors figured out their next move. As per the above, it is hope that the vessel can be moved shortly. The huge vessel, which is a vehicles carrier, is moving millions of dollars worth of high end cars, along with agricultural machinery. This vessel was on it’s way to the UAE via Bremerhaven, Germany.